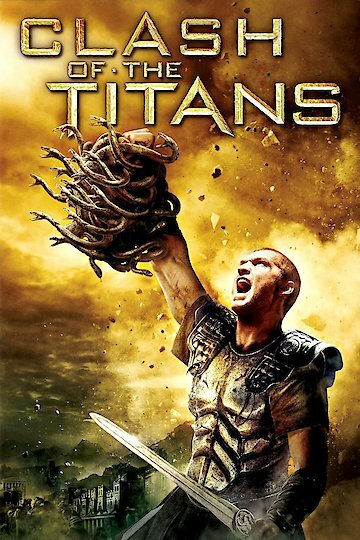 Clash of the Titans is a 2010 remake of the 1981 film of the same name. The story is an interpretation of Perseus from Greek mythology. Because of this, most people will be familiar with the general story in Clash of the Titans. Perseus is the son of Zeus and is portrayed by actor Sam Worthington. The film begins with Perseus being a simple fisherman, knowing nothing of his demigod heritage. Because of the human’s disbelief in the gods, Zeus sends Hates to punish the mortals. Finally released, Hates plans to unleash the Kraken and destroy the land. It is up to Perseus to stop the Kraken and save Greece. Clash of the Titans is more of a reimagining of the 1981 version rather than a remake. The plot only loosely follows that of the Greek myth. The film is more of a summer popcorn flick than a movie looking for great ratings. While only a summer blockbuster, there is still solid character development with Perseus as he copes with these new revelations about him. The film has quite a bit of violence, but nothing too bad for older children to see. Perseus only sees himself as a fisherman and doesn’t see himself as a hero or a son of the Gods. Eventually Perseus reluctantly agrees to go on this journey to save everyone, but does not see himself as a hero. As the story progresses, Perseus must come to terms with his newly discovered lineage. Zeus, played by Liam Neeson, tries to guide his son through his travels and even offering him a holy sword. Reluctant at first, Perseus eventually learns to accept himself as a demigod and uses his father’s sword. The movie uses quite a lot of computer-generated effects to portray all of the mythological beasts. This is a step up from the 1981 movie that used stop motion animation for its special effects. Sometimes it might seem like there is too much action and CGI, but this film is intended to be an action movie, so it’s excusable. Filled with action, famous celebrities, and a happy ending make Clash of the Titans a great movie to watch on group movie nights with friends. Clash of the Titans is currently available to watch and stream, buy on demand at Amazon, Vudu, Google Play, FandangoNow, iTunes, YouTube VOD online.